The Minerdome Sports Club is the perfect place to host your next function with catering options to suit all needs, whether it’s a birthday, anniversary, Christmas breakup or a conference. The Sovereign Room can host up to 120 guests, and has full views of the Minerdome show court. 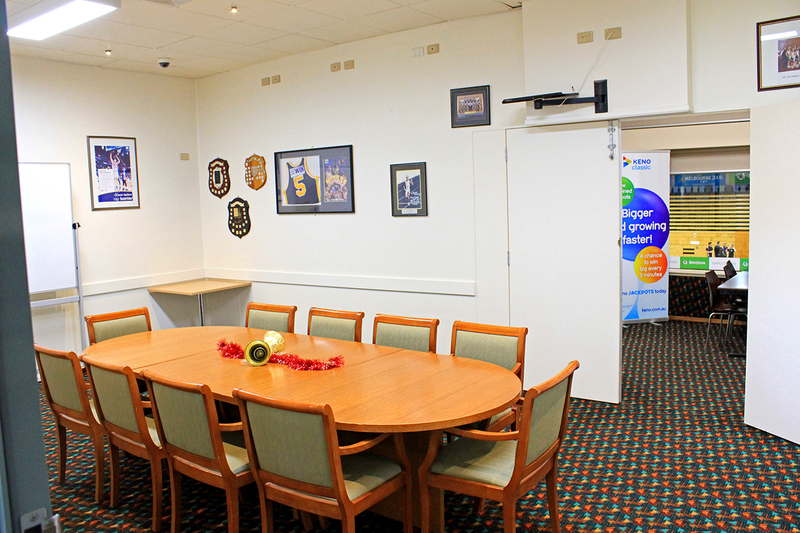 If you’re after a more intimate setting, the Legends Room hosts up to 20 people in an inspirational room devoted to some of Ballarat Basketball’s greats. Are you thinking of hosting a fundraiser? If so the Sovereign Room together with the Minerdome Bistro could take all the fuss out of making some good money for your charity, club or organisation. Contact us today to arrange a fundraiser that suits your needs. Contact Minerdome Sports Club Assistant Manager Jacqui Alexander on (03) 5339 3166 or fill out the adjacent form.